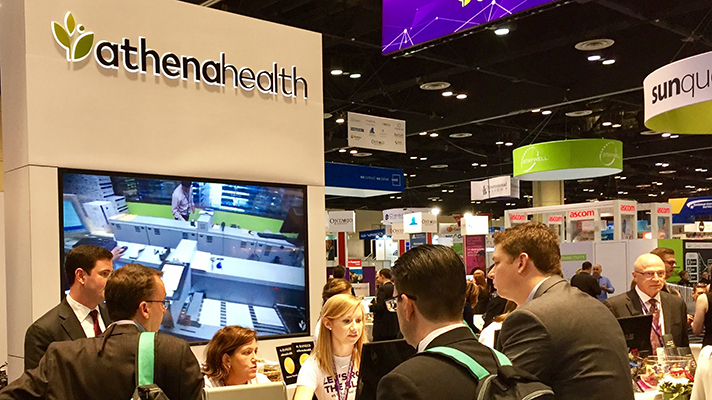 Elliott Management may wind up buying athenahealth after its long and pressure-packed courtship, given that other potential buyers, including Cerner and UnitedHealthcare, are reportedly not interested, according to the New York Post. Elliott has teamed with Bain Capital, which owns Waystar, another healthcare technology company. The two private equity firms may now be frontrunners to buy the Watertown, Massachusetts-based cloud developer, which is valued at $6 billion, the report said. Should the company be sold with the help of former CEO Jonathan Bush, he would receive $4.8 million, according to an athenahealth filing with the Securities and Exchange Commission. Paul Singer’s Elliott Management already owns 9 percent of athenahealth’s stock and offered as much as $7 billion in a buyout offer earlier this year. In May, Elliott Management sent a letter to the board of directors to acquire athenahealth for $160 per share in cash. That letter said the investment community agreed athenahealth has struggled financially and should explore a sale. When Bush stepped down from the company he founded in June, following reports of sexual misconduct and domestic abuse, athenahealth said it would consider all strategic alternatives, including a sale, merger or other action. Chairman of the Board Jeffrey Immelt was appointed as the company’s executive chairman on June 6, the same day as Bush’s departure.